The best kind of people, in my humble opinion, are both interested and interesting, and today’s tee wearer is that in BUCKETS. Joanna Bongard is on any given day a wedding ‘tog, brutalist architect champion, cat mother and serial avocado-on-toast eater (with multiple condiment offerings - this isn’t her first rodeo). 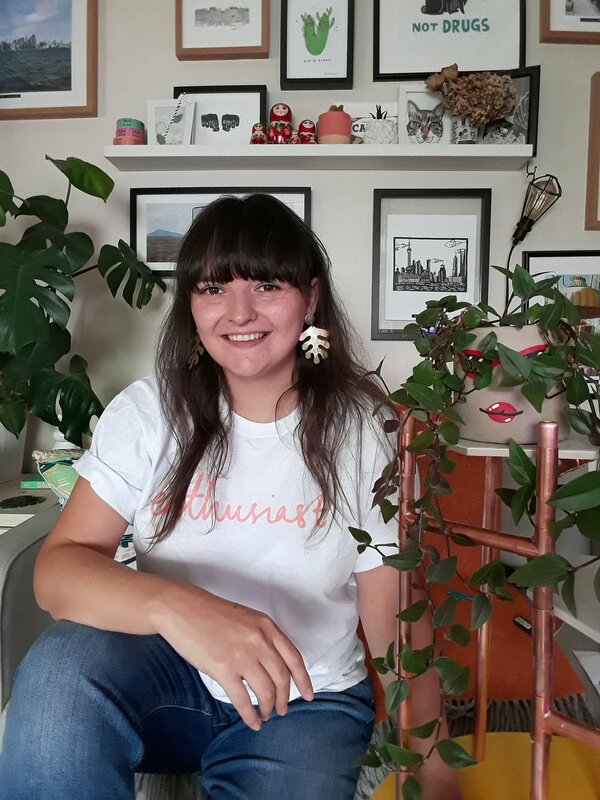 Her love of things is simultaneously considered and uncurbed, curated and wild; whether it’s Margate, oat milk or IKEA, Joanna has a magical quality where she’ll make you love something as much as she does within a matter of seconds of speaking to her. I’m enthusiastic about a lot. I think if you asked any of my friends, the thing I get the most enthusiastic about is Ikea! I bloody love it and because of that I am everyone’s go to Ikea-buddy. I dressed up as Ikea for my last Halloween party. That’s how much I love it. I’ve always really liked interiors and Scandinavian minimalism and Ikea allows me to get that but at a budget I can afford! I love architecture and particularly brutalist buildings. 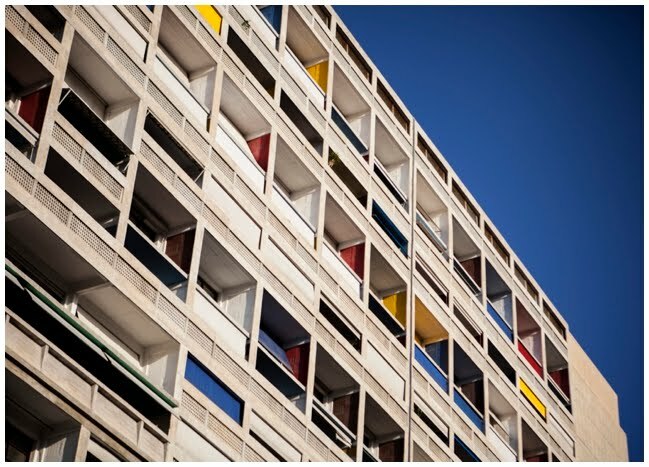 Le Corbusier is my fave. 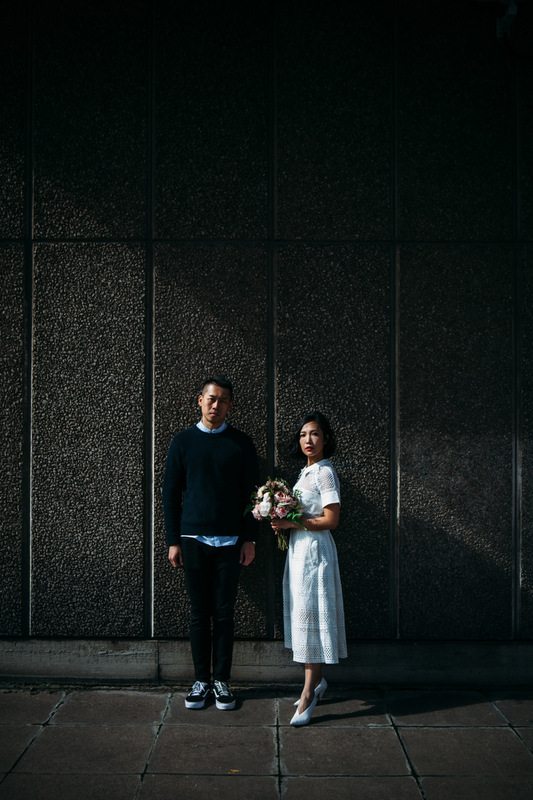 I shot my first wedding in The Barbican Conservatory this summer and had a whale of a time. There is so much amazing architecture in London and it’s great to be able to use that in my job to create images for couples that you wouldn’t be able to get anywhere else in the country. I’m also a vegan and when you’re a vegan it’s hard not to be passionate about that. On a side note I’ve also become VERY enthusiastic about Barista Oatly. I also asked my boyfriend what he thought I was enthusiastic about and he said ‘chips’. Which is fair enough, I do love chips. Why do you keep doing what you're doing? I think being a wedding photographer is awesome, it’s one of the rare jobs where you get to be truly creative and get to make all the calls yourself. I used to work in fashion and in that industry you’re always creating someone else’s vision. I’ve managed to create a pretty awesome niche in the industry where couples come to me because they want something different and unique which pushes me to be more and more imaginative. It’s exciting to be able to push the boundaries of what wedding photography actually is. I’m not sure I’d get anywhere near as much creativity and still be able to pay the bills in many other branches of work. What's the impact you want to make? I want couples to know that they don’t have to have old-school standard wedding pictures (or indeed weddings!) anymore. I think the industry is slowly slowly changing and I want to be at the forefront of that pushing it further. There are amazing wedding blogs out there now like The Unwedding and Way Out Wedding, to name a couple, who are showing couples that they can tear up the rule book and have a day that is as unique as they are. I just want to be there taking pictures of it all! My partner, Simon, has amazing advice. He has this incredible vision for seeing my business clearly when I’m blinded by the day-to-day tasks. One very small piece of advice that he gave me but actually helps me a huge amount is to not reply to emails in the evening. I don’t reply to business emails past 7pm, in-fact I don’t even look at my emails in the evening at all. I think it’s super important to switch off and re-charge in the evening. I’m fortunate to work in an industry where there is never going to be a life and death situation in my inbox that will need to me to instantly reply. My brain also works so much better in the daytime, believe me when I say no-one will want a 11pm email from me, it will make almost no sense. I am a Podcast addict. I simply can not get enough and spend most days listening to them whilst I’m editing. My favourite is 99% Invisible which is a podcast hosted by the incredible Roman Mars (what a name)! It’s a podcast all about design and architecture. Roman is so enthusiastic about everyday design that he makes you see everyday items in a totally new way. The other day I listened to an hour long episode on straws and came out with my mind blown. He sees the world with such wonder and fascination that it’s totally infectious. I’m often found on a shoot with a couple walking around an area of London talking about concrete/flags/signs filled with facts from this man. He can make me open my eyes and look at a building with a fresh perspective, which in turns helps me create images with my couples that are challenging the status quo of regular wedding photography. To be honest I love being a photographer and that’s what I’ve always wanted to be so I can’t imagine that ever being any different but perhaps introducing my love of interiors in there some how. I’d really like to take pictures of people in their homes. It’s a running theme of this blog that every time I come to write these intros I’m lost for words, knees deep in my gushing adoration for these incredible people. The same is true of today’s (and forever’s) enthuse muse Olive Pometsey, a writer working at Drugstore Culture and writing for GQ and ELLE, and a fashion icon working for the good of the people by spoiling us with images of her incredible style. From serious, brilliantly crafted and intelligently informed pieces on feminism and why the city of Hull won’t benefit from being City of Culture to pieces on why Mariah will always be the ultimate Christmas bop (there will be no questions), Olive is a writer you NEED on your radar. Young people are amazing. They’ve always been the future but now, more than ever, they’re paving the way, taking a scary and uncertain world in their stride as they thrust themselves into the deep end and make uncharted waters their own. Kathryn of Kathryn Walker Design is one of those very people - whilst still at college studying her AS-Levels, she started taking a night class as well to support her enthusiasm for costume design. The night class turned into a full class, and she’s now got a list of upcoming projects as long as you arm at only 19. What. A. Hun. Kim Lucas - "I just want people to understand they are capable"